tubes as they look to find more wood. Sometimes these are hanging from other structures. 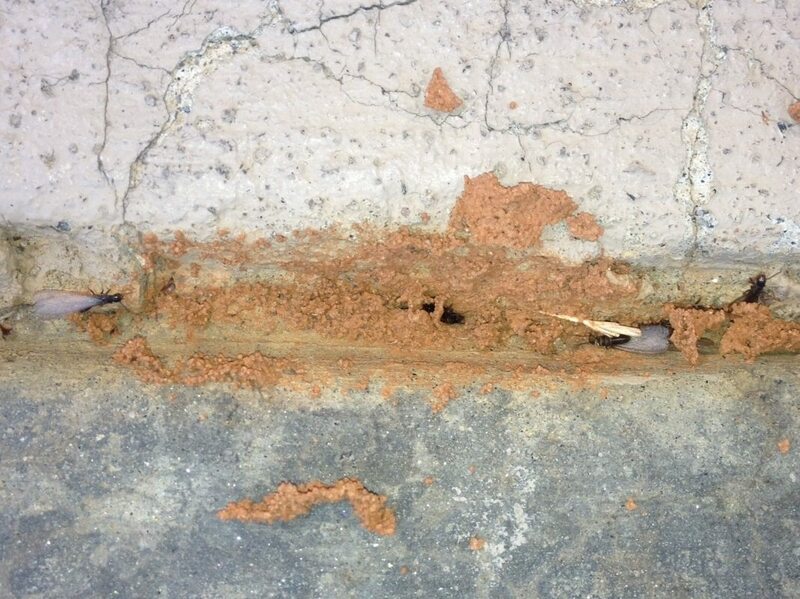 Examine your foundation walls and support beams for evidence of mud tubes. Break apart one of the tubes to examine the inside. If you see small, white colored insects, these are worker termites. Sometimes swarmers are also in the tubes, and these will have long wings as seen in these pictures. 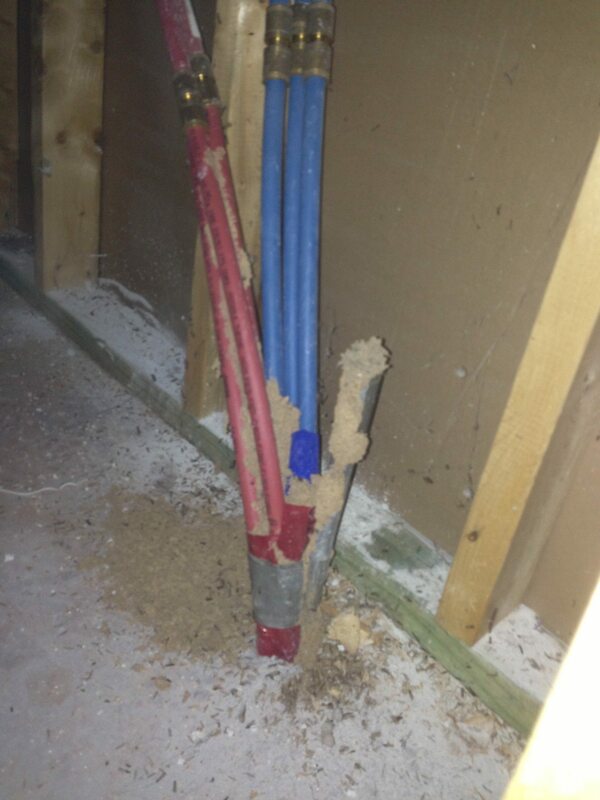 Even if no termites are seen, do not assume the termite tube is not active. Further inspection and evaluation is best left to pest control experts. 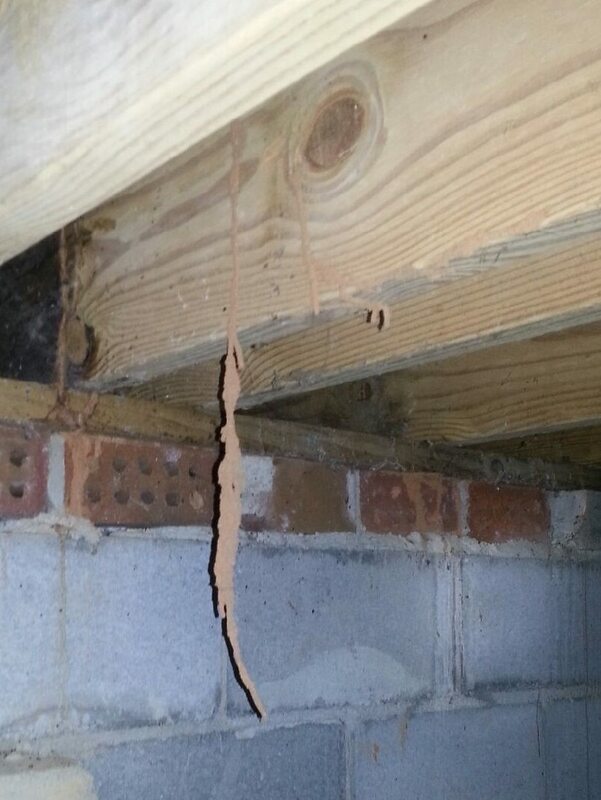 Termites cause billions of dollars in damage every year because they go unnoticed. Take a walk around your home to see if you notice anything suspicious. Then call us for a full inspection and keep your home protected!